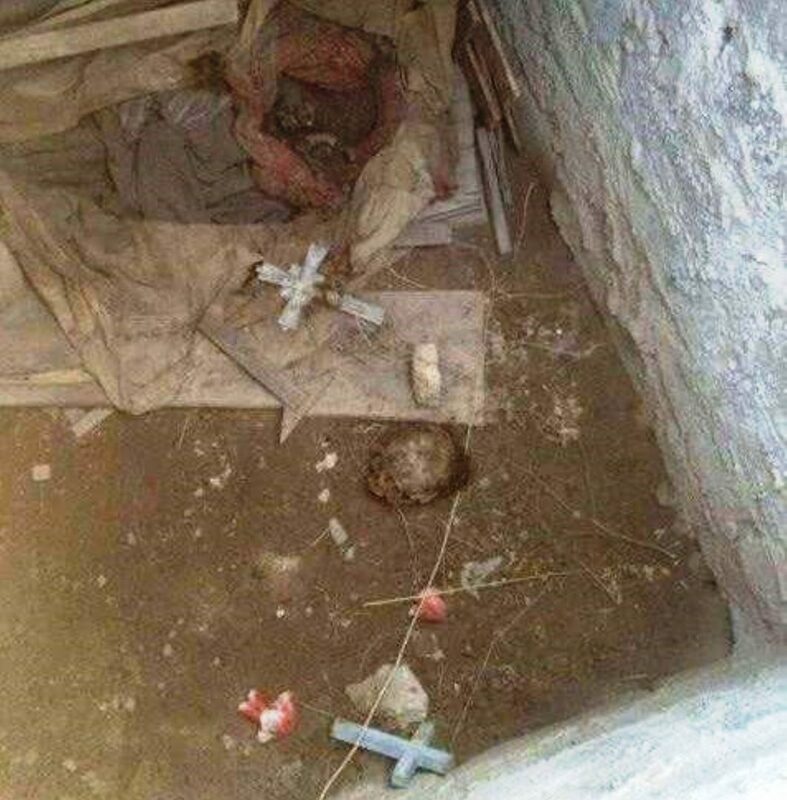 A human rights group recently published photos documenting the Islamic State’s fanatical and virulent hate for Christians — even dead ones. 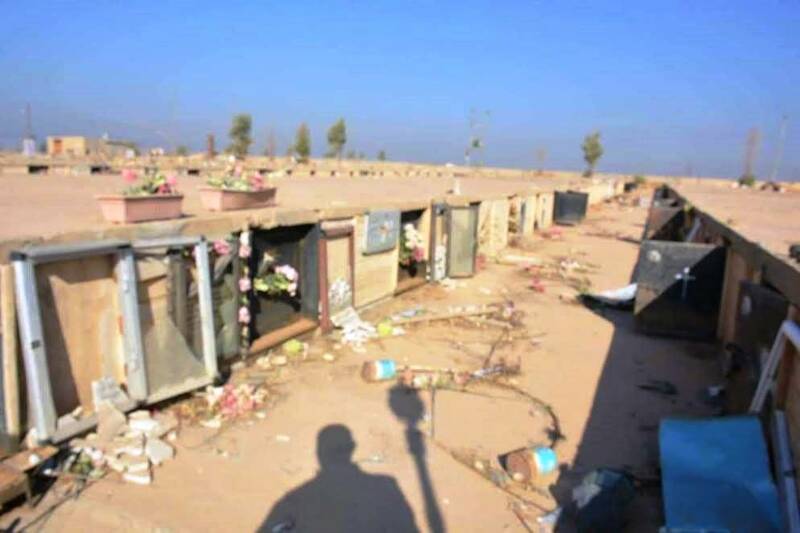 The photos show the Christian cemetery of Qarqoosh, Iraq that was vandalized by the Islamic group. 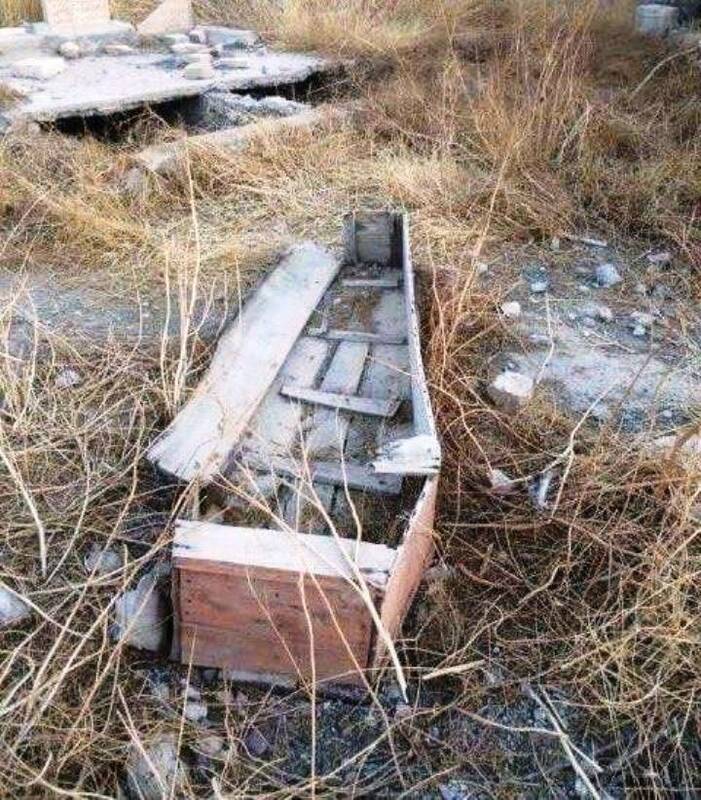 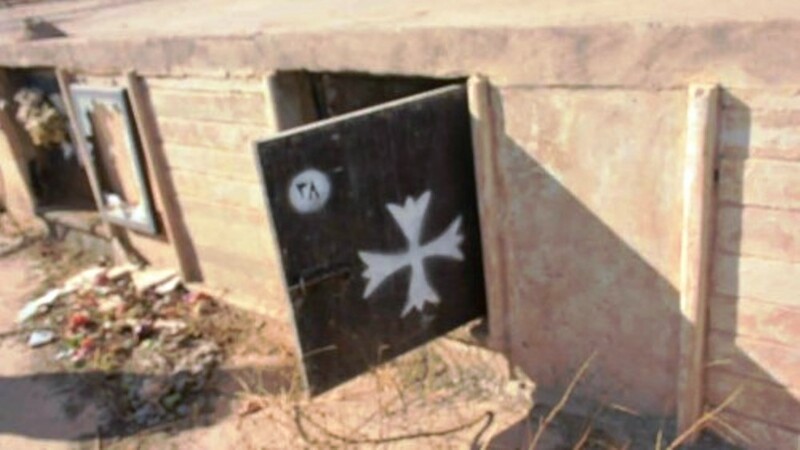 Among other things, the jihadis opened coffins and desecrated the remains of the dead– in the picture below, by snapping off the head of a formerly resting-in-peace corpse and throwing the crucifixes surrounding it on the ground.